Do Min Joon, an alien who landed in Korea 400 years ago, discovers that he has three months left on Earth. And that is when he meets Cheon Song Yi, the biggest Hallyu star in Korea. Min Joon embarrasses Song Yi in public while she films for a documentary special about her daily life. Song Yi suffers from appendicitis, and forces Min Joon to take her to the hospital. He takes the opportunity to protect her from his premonition. When an actress dies from an accident, Song Yi is immediately the target for blame. She seeks refuge in Min Joons apartment, uncovering secrets that hed like to keep buried. Song Yi hides away in Min Joons apartment after the suspicious death of fellow actress Han Yoo Ra. Prosecutor Yoo Suk begins an investigation to look into whether her death was a suicide or not. Following the Han Yoo Ra scandal, Song Yi postpones renewing her contract with her management. As the threats intensify, Song Yi turns to Min Joon for help. He slowly becomes more human-like by being around her so often, and agrees to be her temporary manager. Song Yi thinks stress is contributing to her hallucinations of Min Joon saving her. The investigation intensifies as witnesses to Jae Kyung and Yoo Ras relationship begins to disappear. Min Joon gets sick after he shares a kiss with Song Yi. Se Mi decides to finally meet Min Joon for herself. Song Yi has difficulty dealing with her feelings for Min Joon, whos also trying to distance himself from her and not reveal his true nature to anyone. Jae Kyung will go at any length to get Song Yi and Min Joon, while Hee Kyung begins to view his brother in a different light. Song Yi refuses to hear what Se Mi has to say about her savior from 12 years ago. Min Joon recovers from his injuries but realizes that his heart is now broken. Min Joon does his best to distance himself from Song Yi and holds up his end of the deal with Jae Kyung. When Song Yis wires break while shooting, its a game to the death with no holds barred between Min Joon and Jae Kyung. Song Yi recovers from her injuries but Hee Kyung is still in a coma. Min Joon cant stay away from protecting Song Yi. 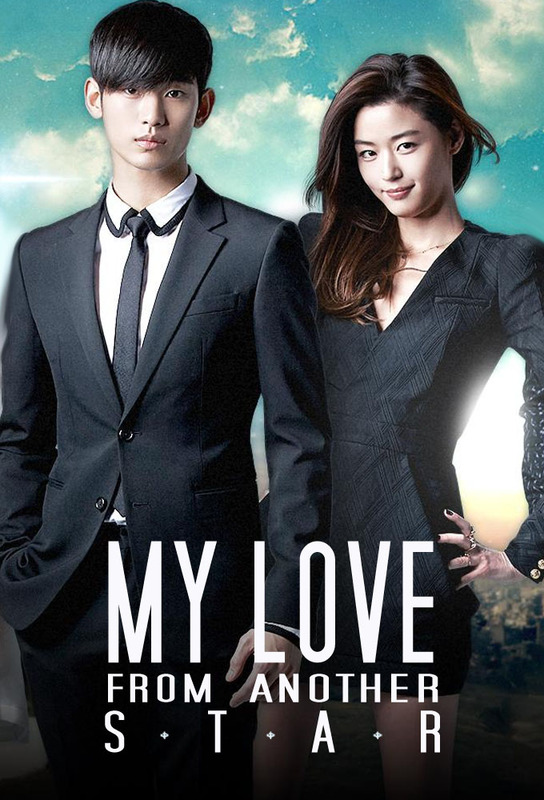 Min Joon and Song Yi admit their feelings for one another and start dating, but his departure date looms near. Hee Kyung wont stop until he finds his sister-in-law and uncovers his brothers dark secrets. Song Yi and Min Joon cant deal with the fact that hell need to leave in a month. Min Joons powers weaken as he stays on Earth longer than he should. Hee Kyung discovers his brothers true self but it will be more difficult than it seems to have him pay for his crimes. Hee Kyung must find a way to stop Jae Kyung before he himself ends up on his brothers hit list. Song Yi discovers the price Min Joon must pay if he stays with her. With one week left before he leaves, Song Yi and Min Joon spend each day as if they had seventy more years left together. Do Min Joons departure is too difficult to bear for Song Yi, even three years later.